Little Sunbeams is a baby and toddler group which meets at 9am on Wednesday mornings, during term time at St. Mary Magdalene’s Church. Come along and join others for play and friendship. 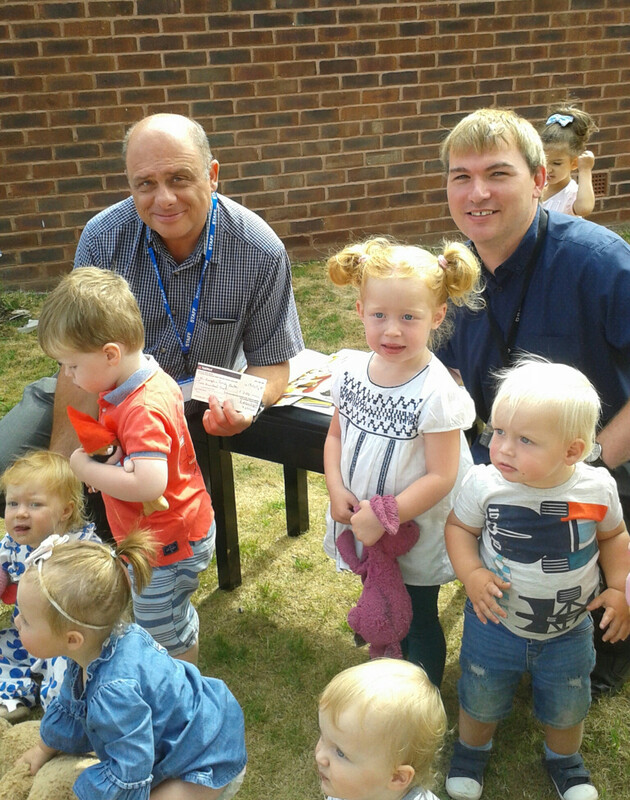 Adam presented David Ashton from St. Joseph’s Family Centre with a cheque for £200 from our Little Sunbeams group during their Teddy Bears Picnic – the final session before the summer break. St Joseph’s offers support for counselling, family contact and welfare or material needs for people in the Warrington area.